The latest update to backers of the crowdfunded sequel to Psychonauts went live a little while ago, and Double Fine's president Tim Schafer sat down with project lead Zak McClendon to show off some of what their team has been working on. Schafer began the video by letting everyone know that FIG, the crowdfunding platform used for Psychonauts 2, has just been certified by the Securities and Exchange Commission. As such, those people who committed to invest in the game can now do so. While it's too late to back the project to get traditional crowdfunding rewards, it's possible to invest and be rewarded financially depending on how well it does when it's released. The big news is that this certification means non-accredited investors can now invest in FIG games going forward. Prior to the certification, investors in FIG games had to be accredited, meaning a lot more paperwork and hassle from banks before they'd be allowed to invest. 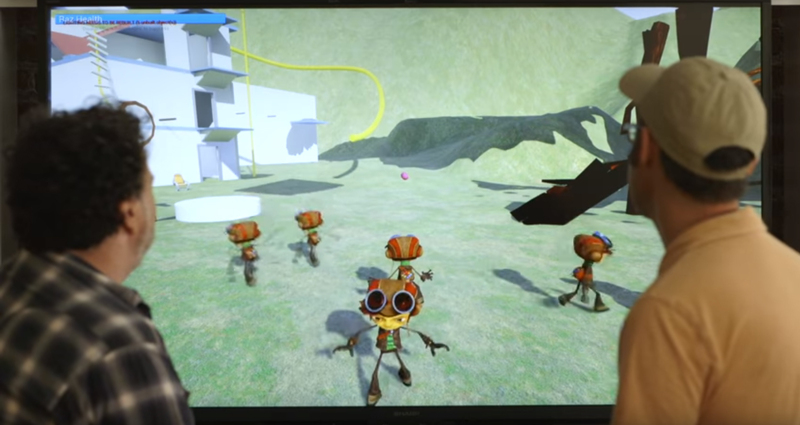 With the business out of the way, Schafer and McClendon sat down to demonstrate what they've been working on for Psychonauts 2. They said that the level they're showing off probably won't be in the finished product, and that they made it as a prototype, a way to get a feel for the Unreal 4 engine using a location they were already familiar with. 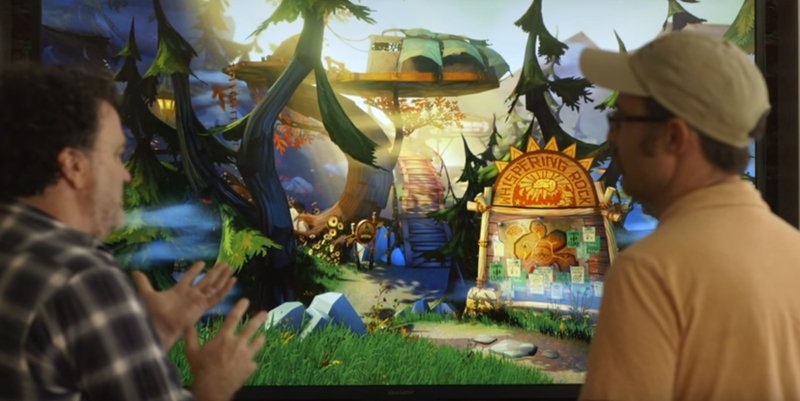 While the art and level design looks great, both men agreed that Psychonauts 2 won't be returning to the Whispering Rock Psychic Summer Camp. "No one's ever going to see this except for right here," said McClendon. Schafer agreed: "We built it to burn it." The video continues by demonstrating some of main character Raz's movements, from his walk and jump animations to more complicated movements involving tightropes and trapeze bars. They also showed off a new gliding animation Raz can utilize to slow his descent -- something I wish he'd had when I was guiding him through Psychonauts' infamous Meat Circus. 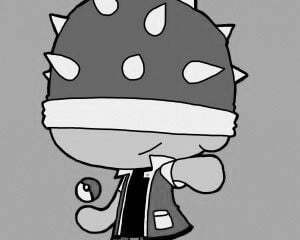 Once Raz's moves were established, they moved on to the combat, showing off Psychic abilities. These include old favorites like Psyblast and Telekinesis, but there were some new abilities on display as well. At one point he is seen juggling psychic blades that he can throw long-distance, and he'll also gain the ability to project copies of himself to confuse enemies or just even the odds against a group. The video closes with some rudimentary combat, though McClendon cautions that this is still very early on. He explained that they have to solidify Raz's moveset before designing enemies that he'll have to use different abilities to overcome, which makes a lot of sense. It seems like Psychonauts 2 is shaping up nicely, and the team still has plenty of time left before its scheduled release in fall of 2018.